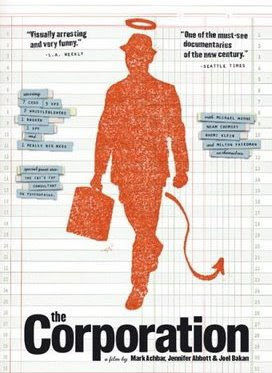 When most Americans envision billion dollar businesses just getting their start they imagine a company's founders following the route commonly taken - the American dream. When they think McDonald's they recall a small burger stand slinging sliders faster than any diner had done before. When they think of light bulbs, they visualize Benjamin Franklin flying a kite in the rain. Unfortunately, not every big business found its place on the Fortune 500 list with a "Mom 'n' Pop" foundation. Though these following companies have long dissolved their ties with the Nazi Party, they traveled a less-than-reputable road to success. Among the most renowned organizations to lend their services to the Third Reich are Porsche, IBM, Hugo Boss, Bayer and Siemens. 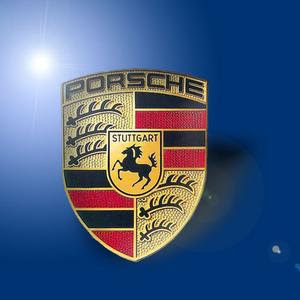 Porsche, once associated with common vehicles instead of stylish roadsters, found its start as Volkswagen. Ferdinand Porsche founded the company and worked with none other than Adolf Hitler to design a cheap and sturdy vehicle, the Volkswagen Beetle, which became the most mass-produced vehicle of all time. The Beetle was constructed by prisoners of the Nazi regime. The automobile was commonly driven by members of the Third Reich. Bayer, a company known for producing aspirin that saves the lives of heart attack victims, wasn't so admirable during WWII either. The drug company was once a part of IG Farben, a corporation responsible for producing Zyklon-B gas canisters used for mass executions in concentration camps. Although Bayer was not directly responsible for the production of Zyklon-B gas, they are to blame for employing Dr. Joseph Mengele, responsible for acts so terrible that any description would fail miserably at describing their atrociousness. Clothing manufacture Hugo Boss also worked for the Nazi Party. He designed the all-black uniforms for the SS Army and Hitler Youth. The clothier, now reputed for constructing some of the most chic business attire for men, just recently learned of their connections to the Third Reich after the names of prominent Hitler supporters were released. 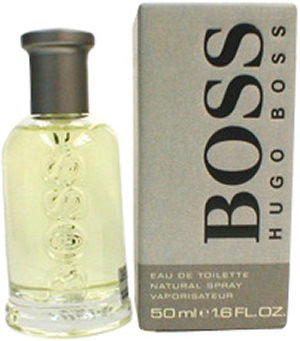 Hugo Boss, the company's founder, was on the list. Boss execs paid for further research on the company's Nazi connections to be conducted. Sure enough, the business relationship was confirmed. Hugo Boss's son, Siegfried Boss explained that it wasn't hard to believe that Boss, being a German company, had connections to the Third Reich. ''Of course my father belonged to the Nazi Party. But who didn't belong back then?" Siegfried Boss said in an interview with Austrian newspaper Profil. Though Boss attempted to drown the severity of the company's involvement by pointing out that ties to the Nazi Party were ubiquitous during the WWII era, it does not matter to some. Even knowing that all relations with the Third Reich and the Nazi Party have been severed still isn't enough for some. "Although they are no longer connected to the Nazi party, I wouldn't feel comfortable purchasing goods from companies that used to be affiliated with the Third Reich," explained John Henige, a third-year business major. Yet others are able to forgive and forget. "I would be OK with purchasing the companies' products because it has been so long since they were involved with the Nazi party," said junior Lina Khuri. While supporting these companies remains a personal decision, it should force consumers to question the start of other companies as well. Porsche, IBM, Bayer, Hugo Boss and Siemens aren't the only corporations to find success in times of war. Among many of the companies to support the so-called "bad guys" in more recent conflict situations are diamond distributors, as depicted in "Blood Diamond." Consumers who choose not to support companies that reap the benefits of war have quite a bit of leverage with their spending power. Auto aficionados may be less likely to hang a picture of a Porsche 911 GT2 in their garage if they were aware of how the car company got its big break. Similarly, headache sufferers might be more inclined to choose Motrin over Bayer next time they are at the drug store. The lesson learned is that it would be wise for shoppers to do their homework to find out which businesses traveled a road to success paved in gold or one stained in blood.